After two years of collaborations and immeasurable efforts, the Essentials of Bariatric & Metabolic Surgery Taskforce created a FREE Essentials app. It includes everything any and every health provider needs to know when caring for patients from the beginning stages of considering weight loss surgery to the recovery process. It also serves as a review for the bariatric surgeon and certified bariatric nurse. 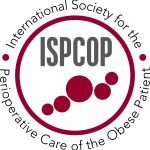 The app is an educational program for all professions caring for the bariatric surgery patient before, during, and after surgery; including general surgeons, anesthesiologists, nurses, emergency physicians and primary care physicians. The Essentials app is multifaceted. It can be a dictionary, reference and a toolbox. It is a tool for everyone in bariatric surgery, ranging from medical students to seasoned doctors. Modules cover preoperative assessment, intraoperative consideration, postoperative management, complications, and outcomes. The pre- and post-assessment tests are catered to the different learner groups. Credits and hours can be claimed after the user takes the post-assessment. 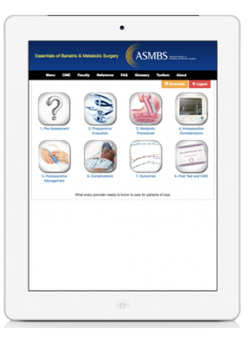 The Essentials app is accessible and free for everyone to learn the fundamentals of bariatric and metabolic surgery. The app is in the app store, click here to download. On behalf of the Essentials of Bariatric & Metabolic Taskforce, we request that you share the application with everyone in your practice.